In this workshop instructors will go over the basic principles of 3D printing as well as 3D design. The goal is to get you started with designing a model and preparing that file to print. By the end of the day, you will be going home with your very own 3D print. 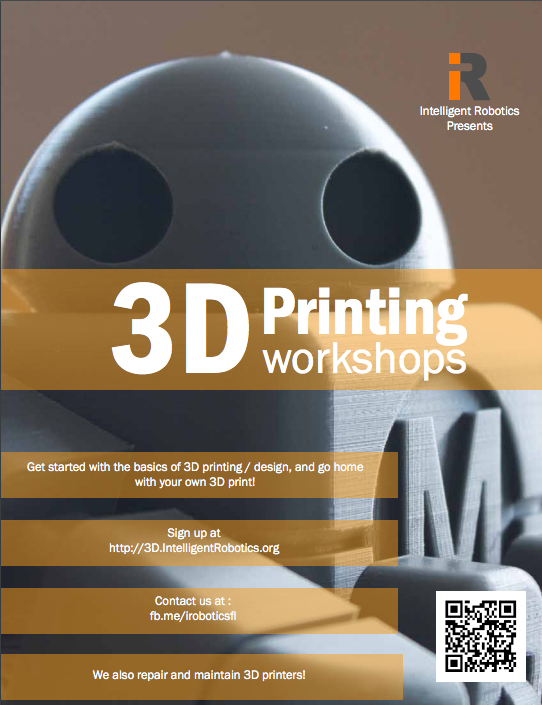 The workshop is geared towards those with little to no knowledge about 3D printing and design.